Rather than go dry over New Years these Kiwis built their own *island* in the bay. We came up with the idea first, though. That's how we got Tasmania... Bwahaha!! "Imperial Knight riding a giant Carnosaur (not mine, just found it online) x-post from r/warhammer"
How does I order 7? That looks blessed funny. Going up against it wouldn't be though. This is the single greatest video I have ever seen! That's amazing. I need to explore that channel. Holy amphetamine parrot, guys. Look at this thing. Ooh, and someone illustrated an entire fan-made Albion army list. The pictures are really good! Yes, I know what day it is. I don't hockey but seriously impressed with the sheer amount of teen-pop sensationy Vegas puts on. The videos for the first two play offs are equally hilarious. What did I just watch O.O? Welcome to Vegas. Sametime as the playoffs against the Jets the local airforce base did a flyover with two F-16's and an F-22 because why the hell not. I hockey as much as the next Canadian... ok... maybe not as much, but I do hockey on occasion. And all I can say to that is "what the actual beslubber?!?" You lot don't generally do that sort of thing? No wonder you needed us to spice up your lives. I loved that. So much fun! The new one includes a catapult so don't say Vegas doesn't like to offer you more each time. That might be completly stupid to post that here but I do have to say. That killed me so much I had to share it. I guess hockey needs to come with a seizure warning now. But for real, that was all kinds of amazing. ... and it's already getting an expansion. Sisters and Tau. 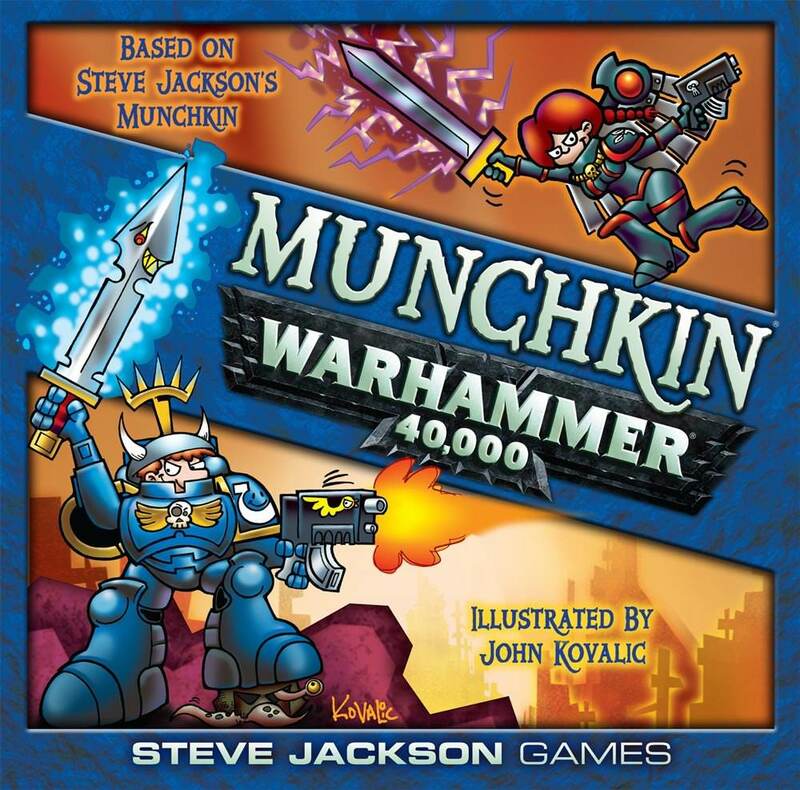 Daily Illuminator: Munchkin Warhammer 40,000 Gets An Expansion!